The Perseus collections: 1750 free books (1370 important for the NT) with awesome search software from Logos. These scholarly resources are invaluable for any contextual word studies in the Greek Bible. Greek background is easy to study when you have these texts available. Hands-on working examples in this review show how to explore the Aristotelian allusions concerning the submission of women in Timothy and elsewhere. Logos software is often castigated as being expensive. You certainly can spend a lot of money on Logos software, but that's because they have so many resources to buy. This review is mainly for something that is free, though you can certainly add lots of other things to augment it. The Perseus dataset is famous among Greek scholars - especially those studying Classics or New Testament. It contains a vast number of Greek texts and translations which come from New Testament times and earlier, as well as some later ones. This provides a fantastic resource for studying the language and culture of NT times. Perseus used to be a CD. Then it turned into a website, the latest of which is really excellent. Now it has been incorporated into Logos and this expands its usefulness even further. When this is linked with the Liddel & Scott Greek Lexicon it provides a complete environment for studying classical Greek. 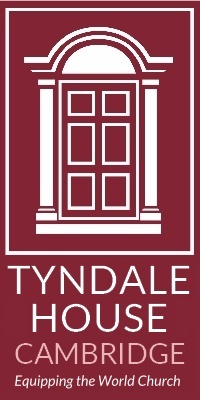 My first paid work for Cambridge University was getting Tyndale's new Ibycus computer to talk to the University mainframe. The Ibycus was a revolutionary machine which could write in English Greek and Hebrew. I was the geek who knew how to get incompatible computers to talk to each other. The Ibycus was so expensive that only three units were ever shipped to the UK, so Cambridge University had to share the one owned by Tyndale House. This computer could read the new collections of Greek literature which had been typed in by specially trained Philippinos and distributed on the brand-new format called CD. David Packard, whose firm was a forerunner of Hewlet Packard, financed this project because he was a keen Christian who wanted to sponsor research into the Greek of the Bible. This project is still continuing and now virtually all Greek literature has been transcribed, from the very beginning (about 800 BCE) till about 1500 CE and steadily onwards.This dataset is known as the TLG (Thesaurus Linguae Graecae) and is available for annual subscription at http://www.tlg.uci.edu/. See more about its history here. Perseus is a free alternative, with fewer texts, but often it is more useful than the TLG collection, mainly because most of its texts have an English translation easily available and because it includes the major Latin works as well as Greek. It concentrates on the early material (up to about the 3rd C CE though most is 1st C CE or earlier) because from the start it set out as a teaching tool for Classics rather than the New Testament or Church History. However, this makes it perfect for studying the Greek Bible. It too started on CDs and now lives on a free website at http://www.perseus.tufts.edu/hopper/. Tufts University has been incredibly generous with Perseus. They give away as much as they can, including their texts and software. This generosity is now mirrored by Logos. You need to register, but this too is free. Registration means that if you do buy extra resources they will be linked to the same download, and when your hard drive dies, you can simply download them all again. Also, if you have two computers, the Logos installations and any notes you make are automatically kept synchronized. Neat! Logos is a potentially huge installation if you buy lots of books. If you have a data drive which is separate from your operating system drive, I suggest you click on "Custom" install when offered which allows you to specify where it is installed. After you have ordered the books, re-open Logos (signing in with the ID you registered) and the books will download automatically. After downloading the books, be prepared to let the computer pre-indexes for some time. This is the key to fast searches on Logos. While you are at this page, select some other free books, especially the Lexham Bible (esp. useful for language studies in Logos) and the SBL Greek testament.
. Which texts are included? The complete list of texts is impressive. Counting them is difficult - do you count "Hippocrates Collected Works" as one, or count separately each of the six works it includes? Logos has counted 1113 separate works in the Perseus Classics Collection, of which about 260 are in Latin, 400 are in Greek and 446 are English translations. This means that about 2/3 of the texts have English translations available in Logos. The number of vols for this collection is really understatement of its contents. It includes virtually all papyri which have been published. This started life as another Packard project, collaborating with Duke University and was initially published as a PHI CD, then moved to the Perseus site. It has now moved to http://papyri.info/ where it has been merged with some other papyri collections. Mainly English works from the era including Shakespeare. Official publications and personal memoirs of the time by ordinary people. A couple of English translations of the Qur'an and a couple of Arabic lexicons, including the complete 8-volume Lane's Lexicon. I don't know why the Arabic Qur'an was omitted - you can see it on the Perseus site with links to Arabic lexicons. For those who want to check up film adaptations such as "The 13th Warrior" which contains a surprising amount of real Greek and Latin.
. Which Greek texts are missing ? Perseus includes about 15% of all of Greek literature from the earliest times up to the second century CE, and most of the texts have accompanying English translations. This doesn't sound very much, but ancient literature is huge, and this collection includes all the most popular and important texts - though scholars differ on which are important! Scholars often base their research on the TLG (see above) because it aims to include all of Greek literature from the start (about 800 BCE) to about 1500 CE. You can constrain a search to relevant centuries, but the list of results are often impractically huge. I recommend using Perseus even for scholarly work, unless you are dealing with a really rare word. Perseus concentrates on the early centuries - most of their Greek texts are from the 8th to 4th C BCE and the 1st C CE, and almost none between or after. This leaves a big gap for NT scholars in the centuries immediately preceding the NT. However, this gap is filled very well by the Jewish Greek literature often called the Pseudepigrapha. This is available on the web in Greek & English, but it is more searchable in Logos products, and in BibleWorks or Accordance. Perseus also includes almost all published papyri - and these are not present in the TLG. Papyri are very important for NT studies because many of them are written in everyday Greek, which is more like the Greek of the NT than Classical literature. However, the papyri are difficult to use because they are not accompanied by translations. Inscriptions are the only other major large area of Greek texts which is missing entirely from the Perseus collection. Fortunately there are good websites for most Greek inscriptions and most Latin inscriptions. Click on the Book symbol (top left) and type "Perseus" to list all the volumes. Disappointingly the descriptions for every volume is generic - every volume in the Classics collection shares the same introduction. So instead of being told that Aristotle is a 4th c BC Greek philosopher whose work forms the foundation of Roman biological sciences and morality, we merely hear that the Perseus Classics collection can help us understand the language of the NT. A link to Wikipedia for each author would have been useful, but hey, we can do that ourselves. Clicking on a text in the Library list opens it in the standard Logos reader, which has all the expected functions and a several more. Click on book icon (top left) to get a mass of options including reading aloud and viewing in columns. * Go to the Library and type "Perseus Aristotle Economics"
Now, when you scroll one, the other keeps up. This isn't perfect, but it even works if you make one window narrower than another. BTW - look at the start of Book 3. It reads like something straight out of 1Timothy! There are many ways of navigating. Here are some you might miss. * Click on the down arrow next to "Article" and you move to the next "Book"
Many Perseus texts are divided into "Books" which were somewhat when the length was a scroll rather than a codex. Therefore Logos interprets this in the same way as a modern "Article"
* Look at the scroll bar. Places in the text you have visited are marked with a grey line - darker lines for placed you stopped longer at. Hover over the bar for a quick preview of the text there. Most Greek texts in Perseus have an English translation, but classical Greek often has complex sentence structures - Paul is simple in comparison - so you'll need some help. * hover over any Greek work and the grammatical parsing appears at the bottom. Perseus texts aren't tagged in the way that Greek Bible texts are. They are linked to a parsing engine which automatically decides the exact form of the word. This means that mistakes can happen but the engine is quite sophisticated. Often it will list two or more possible parsings (separated merely by a semicolon) when a form is ambiguous. * double-click on a word and a lexicon opens. The lexicon which opens is fairly intelligent. If there is a fuller entry in a lexicon which isn't open, it will open that. Of course you need to have a lexicon installed in order to use this. * right-click on a word and choose "Information" or "Power Lookup"
The Power Lookup reports what is found in the basic Greek dictionaries and shows multiple entries. Hover over them to read what the entry says. Unfortunately this does not list all installed Lexicons which have the word. - a lexicon opens and tells us this is "household management" which the NT is very concerned about. * Click on "Open in a floating window"
* Double-click on another word, and the lexicon keeps up. - if a second lexicon opens, it will open as a separate tab in the same floating window (very intelligent!). - this opens a box which lists basic information on-the-fly. * Click on "Settings" in the Information window and click on "Lemma (Greek)"
The following is now fixed. Thanks Logos! Sadly Latin is not so well served in Perseus, and Logos has inherited some of the failings of the markup of these texts. * Go the start of Book 3 in Aristotle's Greek "Economics"
- no vocabulary or parsing appears when you hover and no lexicon opens because Logos does not know this is Latin. * open a Latin work - eg click on the Library (the book icon at top left) and type "Pliny Letters"
- because this is marked as a Latin text, Logos knows how to read it. Word studies require searching for vocabulary in all its forms. With a tagged text this is easy - you tell the software to look for every instance of every form of the word. This is such a normal occurrence in Bible software that we forget how fortunate and well-provisioned Bible research is. In the Classics a grammatically tagged text is rare. The texts in Perseus aren't tagged - the information produced when you hover over a Greek or Latin word is the result of on-the-fly lookup. Logos are looking into tagging the texts (a very good idea in my opinion) but until they do, we have to be a little intelligent with searches. We have to search for every form. The searching in Logos isn't as good as it could be, but it is easier than searches on the Perseus site. * click on the Search icon (top left) on "Basic"
* click on "Entire Library" (or whatever you changed this to) and type: "KJV" then pick the KJV 1900 or type "Lexham"the Lexham English Bible (a free Bible from Logos). Both of these link well with Greek & Hebrew. * press Enter to start the search. - the results are in the form of highlighted English words. I love the way Logos does this when it can. * go to the bottom of the list and click on the last number to go to the last page of results. BTW this provides an instructive parallel to in Matt.24.43 and the story which follows about the servant who appoints himself as οἰκοδεσπότης. We see from Epictetus that the normal punishment is a whipping, so now we can understand the shock-value of Jesus' end to the story, that this servant is "cut in pieces and assigned... to the place of weeping and gnashing teeth" (v.51). This is perhaps the most important part of "Perseus" though it isn't actually part of the Perseus collection. This databank collects together almost all the published papyri, as found in obscure and disparate journals and specialist publications from a huge variety of sources. These are particularly important for NT studies, because the papyri contain the majority of texts written in the same koine Greek as the New Testament. They include contracts, other legal documents and (most importantly) letters from ordinary people. The Duke Databank is available on the web. It used to be hosted by Tufts University alongside the Perseus material, with superb search facilities. The new site is better in some ways (it is being amalgamated with other datasets) but it lacks some of the sophisticated search and word-analysis features which it had on the Tufts site. I don't think the two collections - Perseus classical texts and the databank of papyri - have ever been linked together in a single search engine. Now they can both be searched with great ease. This is a perfect companion for the free Perseus collection and at about $135 a bargain (get it here). The book is a huge armful even though it is printed on thin paper in tiny print, and the electronic version is much handier. It is integrated wonderfully into Perseus - every reference which exists in Perseus can be looked up at a single click. * double-click on it to open the book at the correct place. *you can see that this separates the two words as "οἰκίας δεσπότης"
* click on the Library icon and start typing P.Meyer. It soon finds it in the Perseus Duke Database of Papyri. * Hovering over Latin gives the root form and Greek adds the parsing too. * Pictures! Perseus started life as a collection of pictures and texts, and the web version has perhaps the best free collection of illustrations for the classical world. The combination in Logos of the Perseus material and the Duke Databank of Papyri makes this this Logos collection more useful for NT research than any other collection of Greek literature. Although Logos did not need to pay for these texts, I understand that they have carried out a hugely costly development to integrate these texts into the whole Logos library. I commend them for this. They are carrying forward the initial vision of Packard in the way that he envisioned, by helping all Bible scholars to study the full range of Greek writings which illustrate the language of the Bible. In my opinion, the Logos implementation of Perseus is now the best tool available for studying Classical Greek background of the Bible. While the exhaustive results from TLG will always be important, the integration of results with English texts and other tools makes the Logos Perseus a much more productive tool. Thank you for this review and for the helpful step-by-step instructions. I have been using Logos' Perseus and DDB for a few months for my thesis and have found it extremely helpful. I had downloaded this when I first saw that it was available. So far it has just set on my hard drive. Thank you for this useful information on how to use it. Agree - this is an excellent tutorial and helps to show some of the gotchas along the way as well. Thank you!